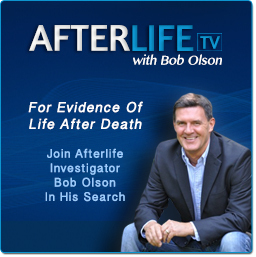 Bob Olson What description do you give yourself when a stranger asks what you do for work? Glenn Klausner: At the age of 4 is where I truly first recognized my gift and ability to communicate with Spirits. Glenn Klausner: I started doing readings professionally in 1992. Glenn Klausner: None what so ever. Angels and Spirits truly are my teachers. 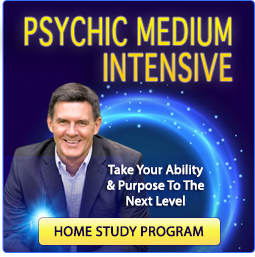 The education and learned skills that I have developed in mediumship is from life experiences as well as my readings. 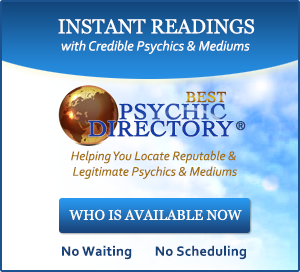 Glenn Klausner: I have studied Angels, Animal Totems, Aura's, Astrology, Numerology, Feng Shui, Tarot, Chakras, Crystals, and I do know how to do Reiki on people who are in need of it. Glenn Klausner: My intention and motivation in doing my job has simply been to serve Spirit by educating and guiding people in readings with their loved ones in Spirit that LOVE never dies and nor do we as energy beings. Bob Olson: What do you find most fulfilling about this work that you do ? Glenn Klausner: To me the most fulfilling reward of my job is to have helped someone in their grief. Bringing messages to people from their loved ones in Spirit always inspires me in my own personal life. I truly love doing what I do. Seeing a client smile or hearing the client feel peace at the end of the reading is priceless. 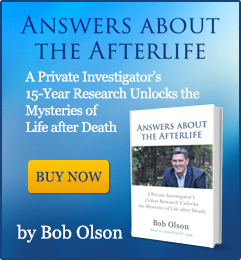 Bob Olson: How long do your readings last? Glenn Klausner: I offer both half hour and one hour readings. Glenn Klausner: When having a reading with me, one can expect to be treated as a child of The Divine Source, and a member of my family. I do everything I can to make a person feel welcomed, comfortable, and relaxed. Glenn Klausner: Personally speaking I prefer not being compared to John Edward or anyone else because each person has their own persona. I am appreciative that John has brought awareness about the Spirit world to millions of people who did not have access to it before through the form of Television. Glenn Klausner: The only instructions I give a client is to be open to the process of whom ever is communicating with me, and not to have any expectations but to keep an open mind and an open heart. Also I ask them to please say yes or no to the information that is coming through such as validation of the spirit(s) so I know I am connected to their loved ones be it family, friends, neighbors, co-workers, pets. Glenn Klausner: All of us spirit beings having a human experience are all unique in our own individualistic way. That's the beauty of each Soul. Glenn Klausner: I love public seminars and I do them at every chance I get. I combine both education about Spirit, and I do readings for people that are in attendance. The experience of these events is magical and spiritually rewarding to see people feeling love, enlightened, and inspired. Glenn Klausner: Yes, I do both in person and telephone readings. Glenn Klausner: The best way a person who would like an appointment with me is to e-mail me via my website or call my office at 212-496-3151.